Award winning CeCe Winans returns with her 7th solo project. With moments of encouragement, comfort, celebration and a focus on God's sovereignty, PURIFIED is a masterpiece painted in distinctive CeCe style! 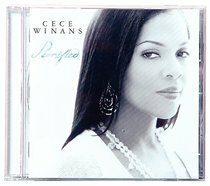 :Award winning CeCe Winans returns with her 7th solo project. With moments of encouragement, comfort, celebration and a focus on God's sovereignty, PURIFIED is a masterpiece painted in distinctive CeCe style!